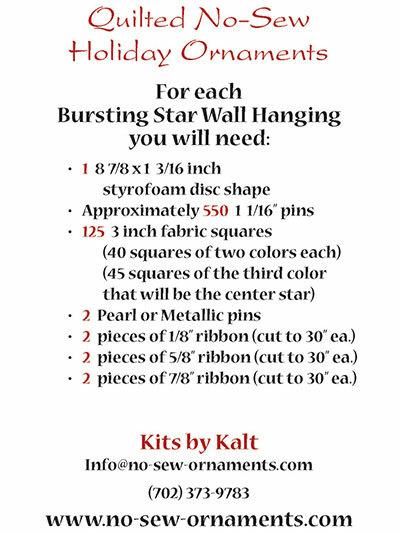 The complete, no-sew pattern includes step-by-step photo diagrams and instructions to create a beautiful bursting star wall hanging to decorate your home or office. Perfect for kids and adults alike, you can finish this lovely design in about an hour. A round Styrofoam® disc (sold above) is needed to secure the pins in place. 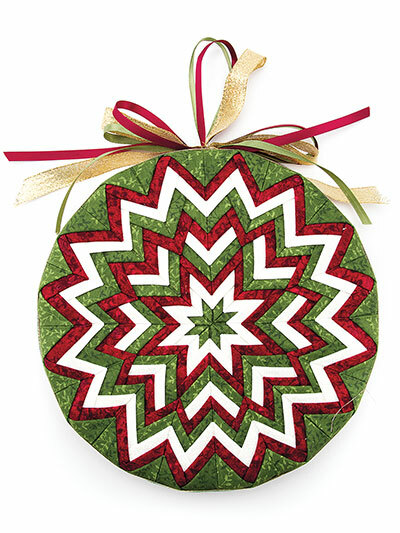 Each finished wall hanging is approximately 9" in diameter. Great stash busters. Lots of fun with the grandkids....we're making them as teacher gifts for the holidays. Also have the other no-sew projects we'll make for the church bizarre. 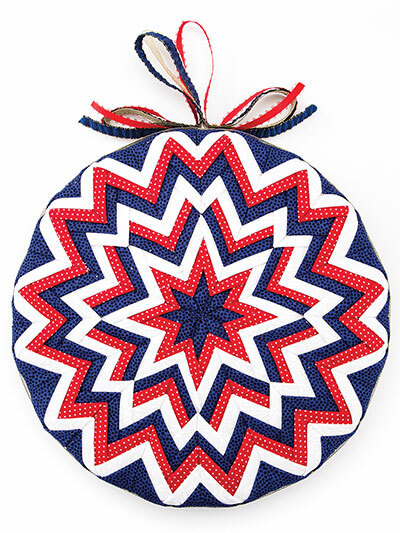 So far I have made three of these stars. They came out beautifully! I will be making more.